While everyone was sleeping, big things were happening in the X-Men universe. 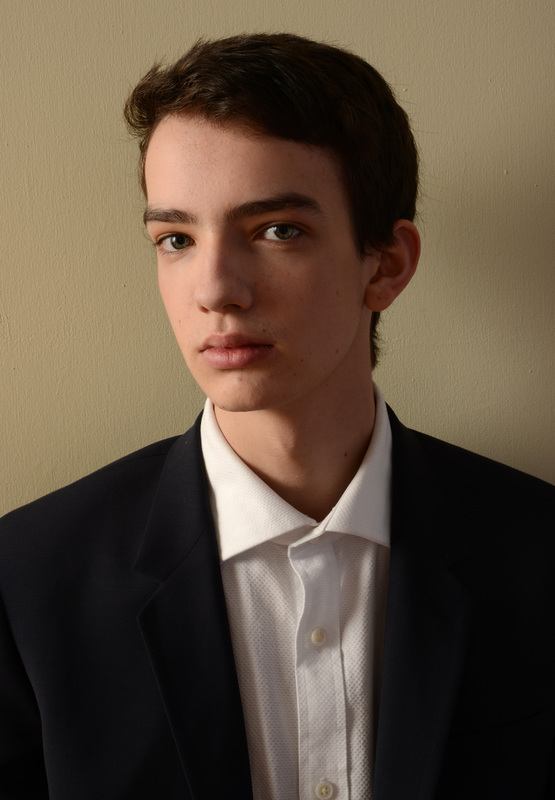 And by big things, I mean that Kodi Smit-McPhee was cast as Nightcrawler in X-Men: Apocalypse, the upcoming sequel to X-Men: First Class and X-Men: Days of Future Past. Much like First Class, Apocalypse will follow exclusively the earlier lives of the characters from the original X-Men films, which means that a newer, younger Nightcrawler was in order. Not everyone can be like Wolverine and never age out of being Hugh Jackman, OK? Unlike a famous name like Jennifer Lawrence and James Macavoy, Smit-McPhee's name probably won't cause a large amount of people to be snap their fingers and shout, "I know that guy!" So, where have we seen Smit-McPhee before? The answer is everywhere. Aside from being one of Bustle writer Rachel Simon's choices to replace Andrew Garfield in the new Sony-Marvel Spider-Man movies, Smit-McPhee is well-known for a lot of other projects that have yet to truly be his big break. The Australian actor is 18 years old and currently lives in Los Angeles with his family, where he has had the pleasure of acting alongside talents just as big as bright as Lawrence, Macavoy, and Nicholas Hoult (including literally Nicholas Hoult). Here are just a few of the places that you might have seen Smit-McPhee before. In 2010, Smit-McPhee co-starred with Chloë Moretz in the vampire film Let Me In. He played Owen, a bullied 12 year old boy who discovered that his next door neighbor, Abby, was actually a vampire. Although the film polarized audience due to sticking so closely to the Swedish film upon which it was based that it drew accusations of being too derivative, it was one of the movies that cemented Moretz as a serious actress in Hollywood. Smit-McPhee more than held his own alongside her. In 2012, Smit-McPhee took the voice acting lead role of Norman Babcock in the animated supernatural film ParaNorman. While the film was only a modest success, box office wise, it received a lot of critical praise for its amazing plot, script, and animation. Admittedly, it's hard for your career to really take off based on a film where no one even sees your face, but Smit-McPhee's voice alone made for a believable and relatable protagonist in a much-loved movie. Smit-McPhee's best known movie to this day is his 2014 role as Alexander in Dawn of the Planet of the Apes. He plays the son of Jason Clark's character Malcolm, and shared top billing in the credits alongside such names as Gary Oldman and James Franco (if a cameo appearance on a video counts). The 2014 sci-fi western film Young Ones put Smit-McPhee alongside his now-current co-star Nicholas Hoult, as well as Elle Fanning and Michael Shannon. The movie, which premiered at the Sundance Film Festival, starred Smit-McPhee as Jerome Holm, one of the members of a family trying to survive in post-drought USA. Although his Twitter, like any actor's Twitter, is used in part for a lot of advertisement for his own films, there are quite a few gems of wisdom and humor buried in Smit-McPhee's account. Especially when you look at his profile quote, which currently reads: "Kodi Smit McPhee is my name, but you can call me The Universe for I am a fraction making it come to life, apart of it like the stars in the sky." That is deep. Smit-McPhee has an equally active Instagram account, on which he posts a lot of selfies alone and with his girlfriend, Rebecca Phillipou. He currently has more followers on Instagram than he does on Twitter, but there's plenty of time for that to change now that he's been cast in a big-budget movie as highly publicized as X-Men: Apocalypse. This could be the true start of Smit-McPhee's acting career, and I can't wait to see where he goes from here.